Air Arabia announced financial results for the fourth quarter (October to December) 2018, delivering a strong operational and financial performance. Etihad Airways Engineering, the largest commercial aircraft maintenance, repair and overhaul (MRO) services provider in the Middle East, has signed a Memorandum of Understanding (MoU) with TARMAC Aerosave, an industrial group specialising in aircraft maintenance, storage and recycling and owned jointly by Airbus, Safran and Suez. The MoU paves the way for the two companies to identify and jointly pursue opportunities to develop, explore, support and extend Part 145 maintenance services and products to their customers from around the world. 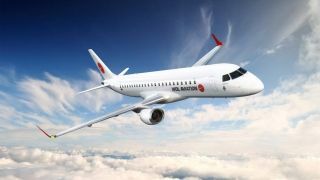 Japan Airlines (JAL) will be changing the reservation start date for international flights from the conventional 330 days to 360 days prior to departure. As inbound demand from overseas countries has been on the rise every year, this new rule enables customers to book and issue tickets for flights 360 days ahead; meeting the needs from overseas visitors who wish to plan their trips to Japan in 2020 as early as possible, including hotel reservations. 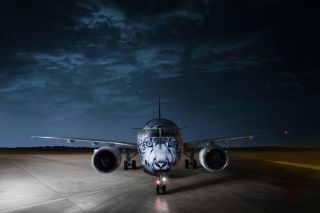 Embraer and WDL Aviation GmbH, a German charter and ACMI airline headquartered at Cologne Bonn Airport and part of the Zeitfracht logistics group, have signed an agreement on a Flight Hour Pool Program to support the airline's recently leased fleet of four used E190s. Ameco officially delivered the 12th Boeing 757-200 passenger-to-freighter aircraft in the last few days. This is also the 8th passenger-to-freighter aircraft completed by Ameco Chengdu Branch for SF Airlines. Star Alliance, the world's largest airline alliance, has partnered with Skyscanner, the world's travel search engine, to allow travellers visiting the Star Alliance website to search for flights, view airfares and book them directly with its member airlines. 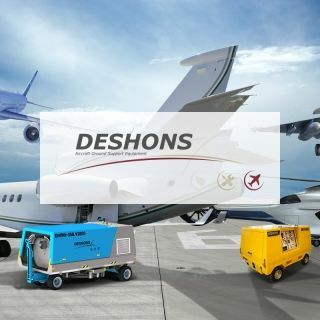 FL Technics, a global provider of integrated aircraft maintenance, repair and overhaul services, a part of Avia Solutions Group, has just signed an exclusive representation agreement with French hydraulic solutions company Deshons Hydraulique. 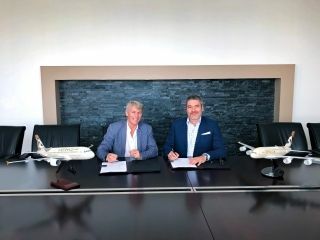 Embraer and Air Astana, a flag carrier of Kazakhstan, have reached a multiyear agreement on a Flight Hour Pool Program to support the component needs for the airline's new E2 fleet, Embraer's second generation of the E-Jets family of commercial aircraft. WestJet today announced that it will seek shareholder approval at its 2019 annual and special meeting of shareholders to amend its articles of incorporation and By-Law No. 2005-1 to increase the limits on foreign ownership and control of its voting shares to those permitted by amendments made to the Canada Transportation Act (CTA) in 2018. The amendments to its articles and By-Law No. 2005-1 will be undertaken by way of a court supervised and shareholder approved statutory plan of arrangement.